Please contact us for collaborations, taste testing, reviews and with any queries. We work with a range of individuals and companies from superfoods to iconic British brands. We love a challenge! When faced with new ingredients, we get a kick out of transforming them into great healthy food. There's nothing more satisfying than watching peoples faces light up when they try our food, recipes and healthy eating principles - obviously other than eating the food ourselves. We thrive on learning about products, people and foods healthy hidden benefits. 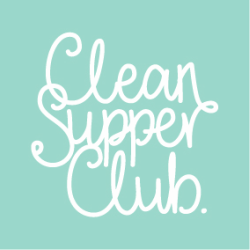 We set up the Clean Supper Club blog, website and social media platforms to share our passion and easy accessible recipes with as many people as possible. Being Mums and having busy family lives gives us great perspective on the needs of the modern family, what's plausible, practical and more importantly realistic!